One of the nice things about using a different browser to Internet Explorer, are the hidden functions that you find are added to make them stand out from the crowd. 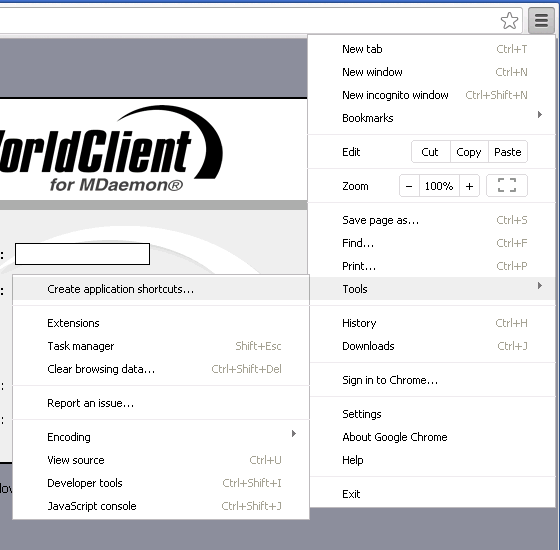 Google Chrome has long been my favourite browser for many different reasons but it was only recently that I came across a very useful built-in feature that can turn any web page into an application shortcut. 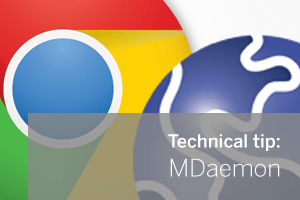 This procedure in effect will create a desktop, start menu and task bar shortcut to a simplified, minimal chrome browser window that automatically launches any web page (in this case MDaemon’s nifty webmail client). The key difference here is unlike a traditional short cut to the URL, the opened page does not include any navigation bar or pull down menus and so the resulting web page looks and feels much more like a built-in application. 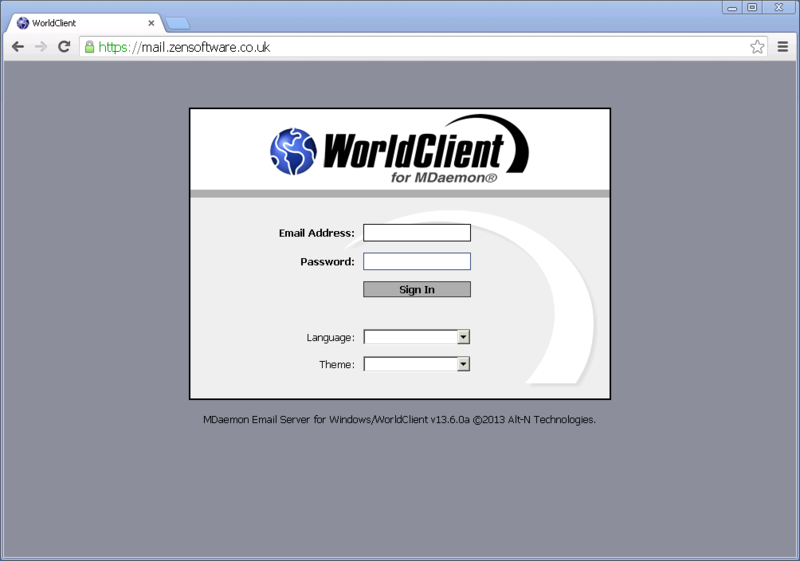 Since I stumbled across this I’ve used the feature to create a few interesting application short cuts for things like webcams, our Live Chat agent log-on page and more recently, the WorldClient web mail interface. 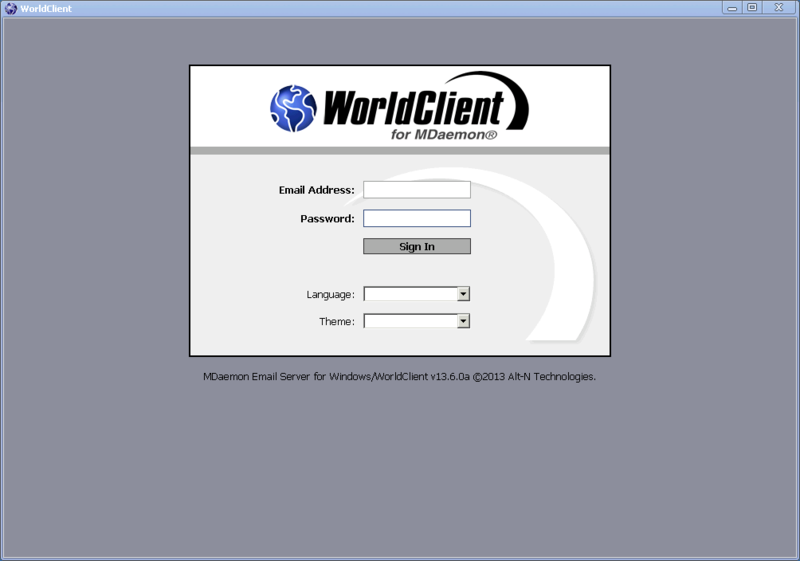 Its a simple change but it’s once that takes Worldclient yet another step closer to enabling you to replace Outlook completely as a mail client. 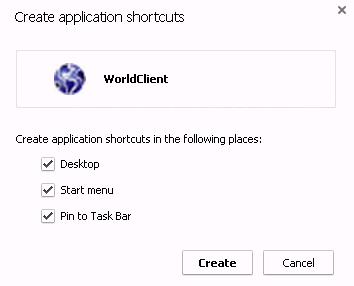 Once you’ve done that you should now see a WorldClient icon pinned to the task bar as expected. Clicking on any of these links you’ve created will now open up the simplified application view.